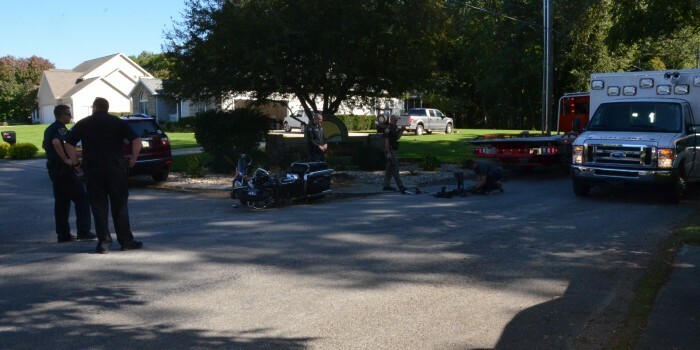 UPDATE: According to a report issued by the Kosciusko County Sheriff’s Department, Officer Bradley J. Kellar, Warsaw Police Department, was responding to an automobile accident at the intersection of 200 South and Ferguson Road in Warsaw at approximately 3:56 p.m.
Kellar was driving a WPD motorcycle with lights and sirens activated on Ferguson Road. 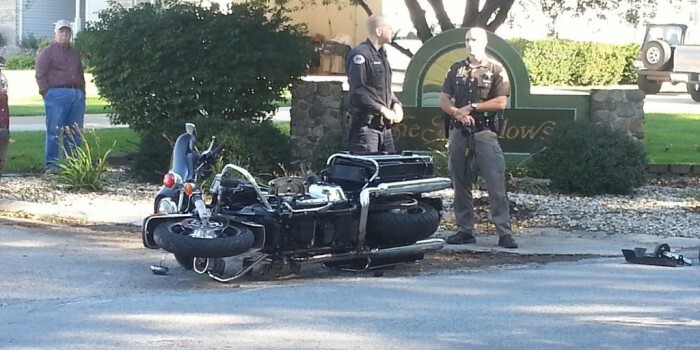 Kellar’s motorcycle collided with a vehicle driven by Nancy K. Boston, 41, Warsaw. Boston was attempting to turn onto Meadow Drive from Ferguson Road. Kellar was transported to KCH for injuries to his face and leg. At the time the KCSD report was issued, Kellar was listed in stable condition. INITIAL REPORT: While emergency personnel were responding to an initial call of an accident at CR 200S and Ferguson Road, a second accident occurred at South Meadow Drive and Ferguson Road, south of Warsaw, involving a motorcycle driven by a police officer. Further information is pending with the Kosciusko County Sheriff’s Department at this time and will be provided as it becomes available.